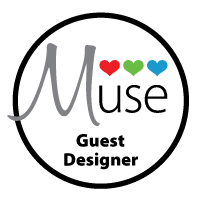 It's the last week of the month so that means we have a Guest Muse this week. Her card is dramatic and fun and sure to inspire you! Here's your Guest Muse for this week, Bobby!